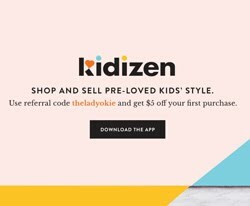 The Lady Okie: Easily Create a Photo Book with Shutterfly's New Make My Book Service! 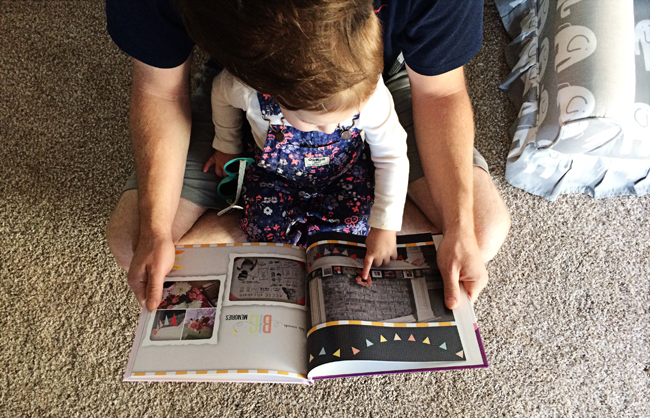 Easily Create a Photo Book with Shutterfly's New Make My Book Service! Sponsored Post: This post is sponsored by Shutterfly, but the opinions, photos, and content are entirely my own. You probably all know by now that I am a huge fan of making personalized photo albums. I started in middle school making scrapbooks with my grandma, and I haven't stopped since. I have a photo album for college, one for our wedding, and I made a photo/journal during my pregnancy with R. And you might remember my Project Life book that I made in 2015. 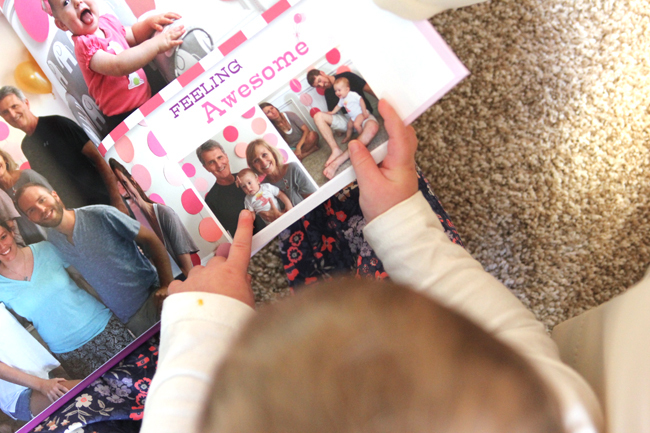 But another thing I love is making photo books with online services like Shutterfly. 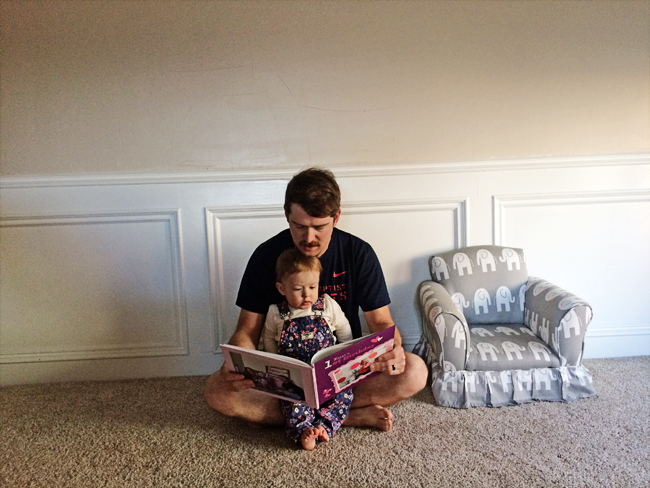 I've made few vacation books, and last year I shared photos of the week-by-week book I made for R's first three months using Shutterfly, and I plan to make one for Baby Boy Bum also! All that to say, I think making photo books is so much fun, and that's why I am very (like, really a lot) excited to share Shutterfly's new "Make My Book" service with you. I tend to be a perfectionist and take a bajillion years to put my photo books together. I want every picture just so, and while I love the end result and think all my time was worth it, the process of actually making a photo book on the computer makes my head hurt. From the moment I heard about the Make My Book service, I knew exactly what I wanted to make a book about: R's first birthday party. I have been wanting to make an album dedicated just to that event, and I haven't yet taken the time to do it. 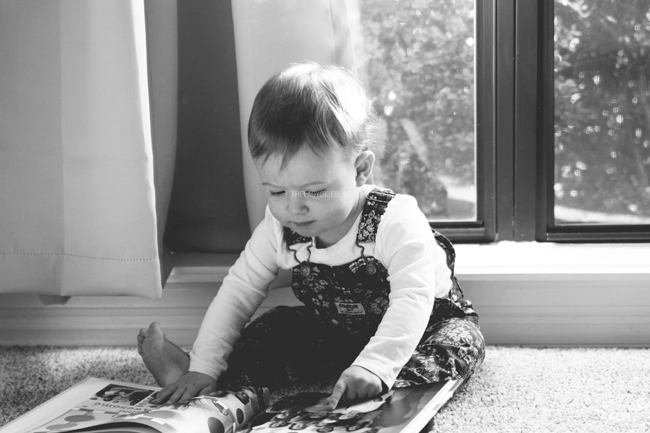 As R gets older, I've noticed that she enjoys looking at photos and videos of herself, and it's really cute how interested she is in looking through this book. She loved looking at the photo of all the family members and pointing everyone out. She's getting good at recognizing her aunts and uncles! Anyone can use this service, but this is especially great for people who don't have the time (ahem, me) or knowledge to make a book on their own. Being someone who has made a lot of photo books, I wasn't sure exactly what to expect, but I was very pleased with how my book turned out and how easy it was to make. You can upload your photos (up to 800!) 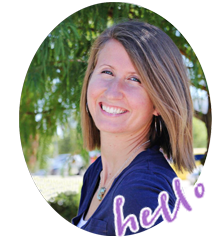 on the Shutterfly website and send it off after answering some basic questions about your design and layout preferences. 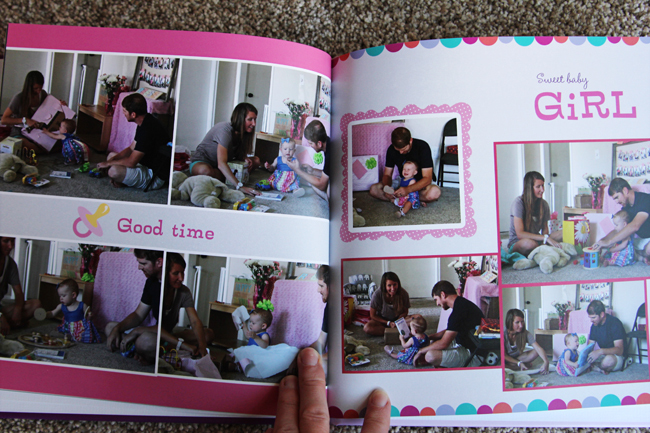 It goes to a designer at Shutterfly, who puts your book together using the photos you sent in just a few days. At that point you can order as is or make any edits or adjustments you want by adding text, photos, etc. The best thing is that it's free to try! You only pay a small design fee of $9.99 if you actually order your book, but if you decide you don't want the book after all, you don't pay anything. Normally I would spend an entire weekend or more making a photo book, but with the Make My Book service, I honestly spent about 10 minutes uploading my photos and submitting my project, and then another 10 minutes previewing the book and making a few minor adjustments. So awesome! 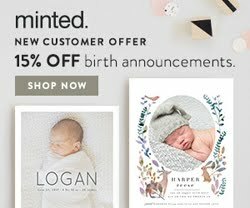 I encourage you to check out this new Make My Book service from Shutterfly for that photo book you've been wanting to make but haven't had time for. I don't think you will be disappointed! If you were going to make a photo book, what would it be about? 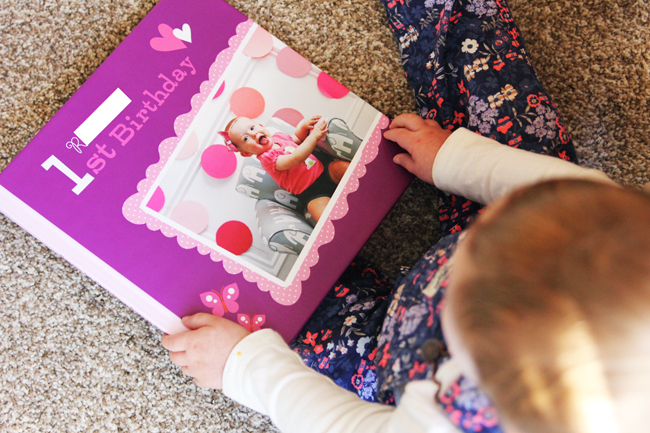 I'm all about Shutterfly photo books! I made some of our engagement pictures and honeymoon, but I have yet to make one of Gracie. Worst mom ever. Though I do make one for my parents every Christmas. It takes me an eternity so I maybe I should look into this thing. I did this for Christmas and it was so worth it!! I want to try this! I try to make photo books for our vacations because we always take so many pictures. While I love how my photo books come out, they take me forever! I love R's birthday book. This is fun. Honestly, I HATE making books which is why I never do. So to have someone make one for me would be really nice! 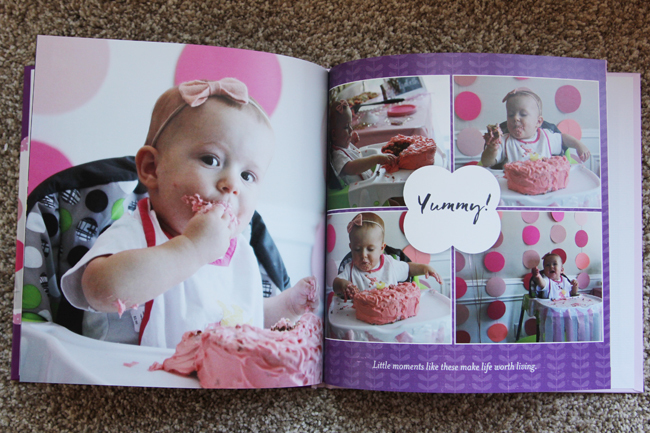 Glad you got a book of R's 1st birthday! I love this!! I really need to make photobooks of my daughter. Cute book! I've used Shutterfly for tons of photobooks, but I've never tried their Make My Book service. I'm so particular about the order of photos and all the text that goes along with it that I have trouble imagining that I'd like it if someone else laid it all out. But it doesn't hurt to try it! And I have a couple of friends who will love this! They are always saying how much they want to have photo books, but don't have the time to organize the photos in albums. This is great for that! You have me convinced, I need to do this! Did you use a ton of photos? I have soooo many! Of course I don't want to leave any out, but I don't want to be ridiculous either! What about editing captions and adding details if desired?